The weekend of 30/31 January is the RSPB Big Garden Birdwatch. I sent off for my pack early on. I got stickers and postcards and an identification sheet and a tally sheet. We didn’t have a bird table or bird seed, so Daddy borrowed one of my hamster’s seed nibble sticks and hung it up on the tree and put out a saucer of water. Then I got the binoculars and sat down to wait. 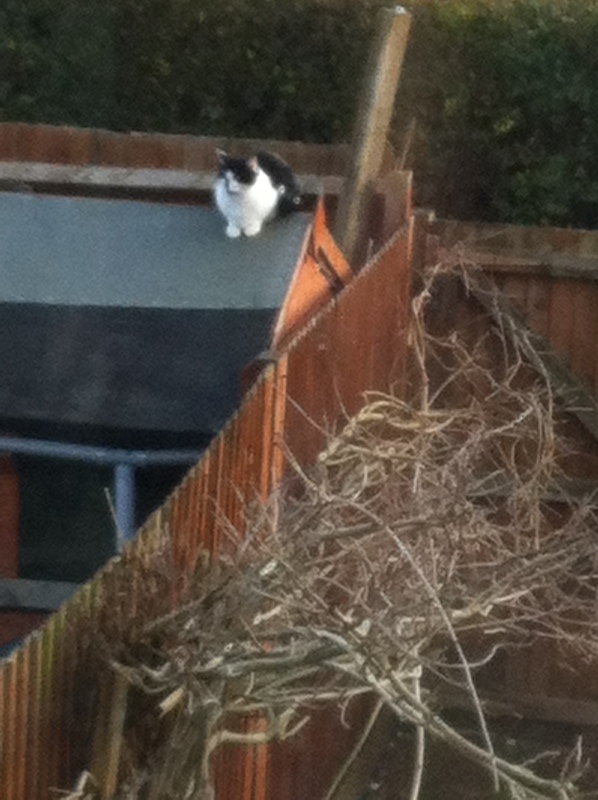 I didn’t see many birds during my hour of watching as we live next to ‘cat alley’ and there were many cats around. I now have to submit my total online. 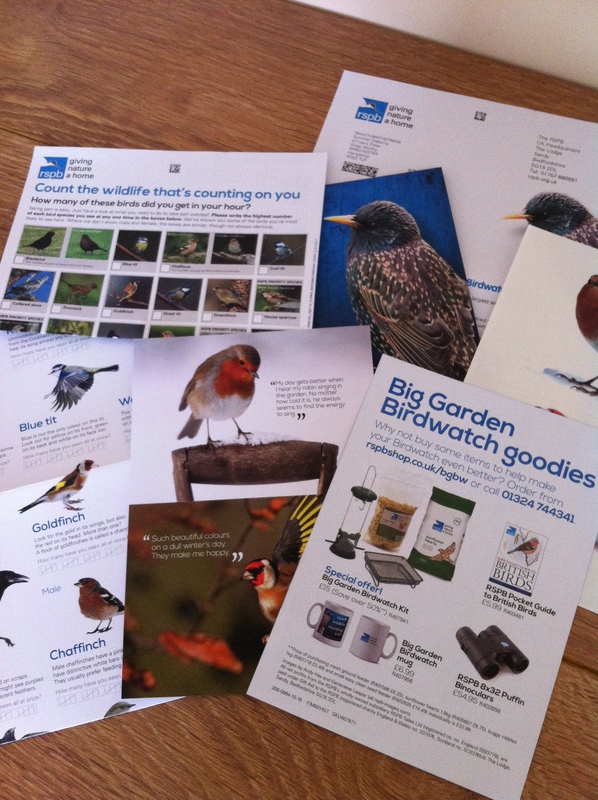 If you want to study the birds in your garden, check out the RSPB’s website first. There is still time this weekend to do the Big Birdwatch. 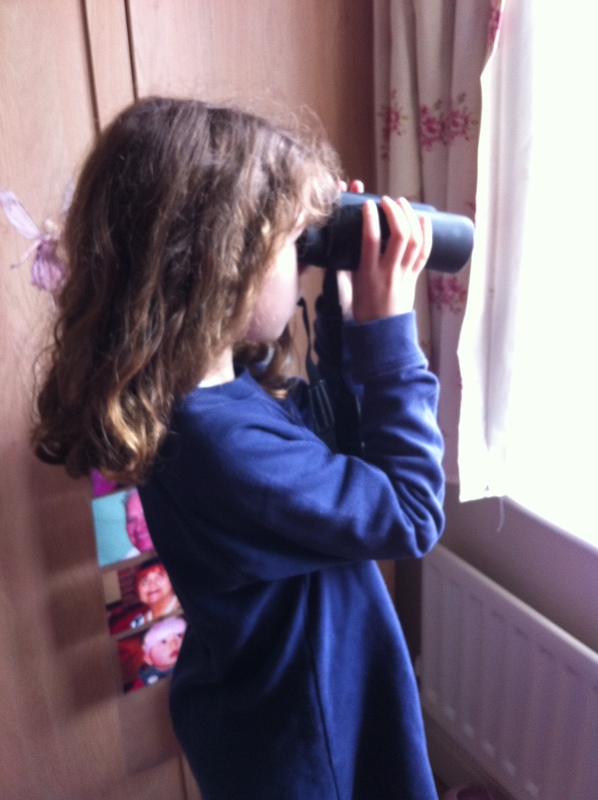 This entry was posted in Adventure and tagged Birdwatching, RSPB, RSPB Birdwatch. Bookmark the permalink. It is good to receive your blogs they are always very interesting, keep them coming.